This life is all I know. It’s all I want to know. It keeps the s**t buried that I need kept buried. It allows me to live without thinking too much. All the Rage is a STANDALONE. Hope knew when she was little she was different. Something was just off about her. She saw how other people reacted in certain situations and she knew she wasn't feeling those things. She didn't understand why she didn't feel, she just knew she didn't. When Cody, her best friend and only person to understand her, came up with the idea to teach her to fake it. Fake her emotions, she went along with it, until she couldn't any longer. That night she met Smoke and her world changed. Nolan Archer was supposed to be a hockey star, until an injury caused him to lose his scholarship and sent him back home. Healing alone in his grandparents’ cottage, he wasn't about to let his hockey dreams go. When he meets Rage for the first time, he knows he needs to know her on a deeper level. Will Rage stop pretending and finally let someone in? Will Nolan be able to handle all of Rage's secrets? I didn't know what to expect from Rage's book. We've seen the destruction she can cause without feeling anything. 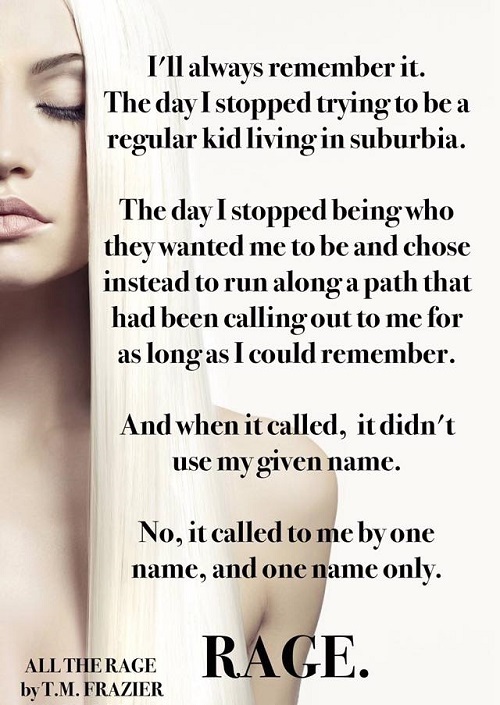 I wasn't sure how her non-feelings were going to translate in her own book. I have to say I was pleasantly surprised. I'm excited to see what's next from Ms. Frazier. 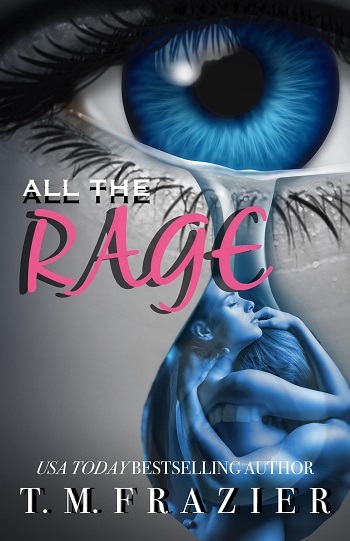 Reviewers on the Wicked Reads Review Team were provided a free copy of All the Rage by T.M. Frazier to read and review for this tour.